In full swing: the return of the belt bag. It was always tricky to wear, but how to wear one now? 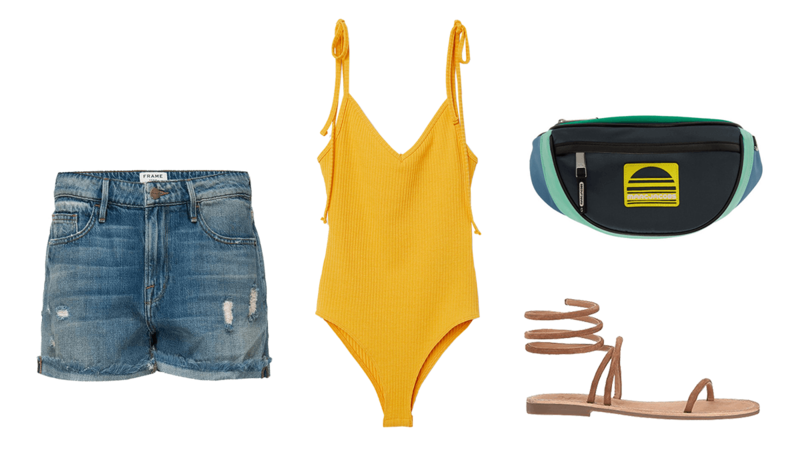 We're demystifying and identifying the freshest ways to wear waist packs, with 4 outfits below that range from weekend cool to work week ready. 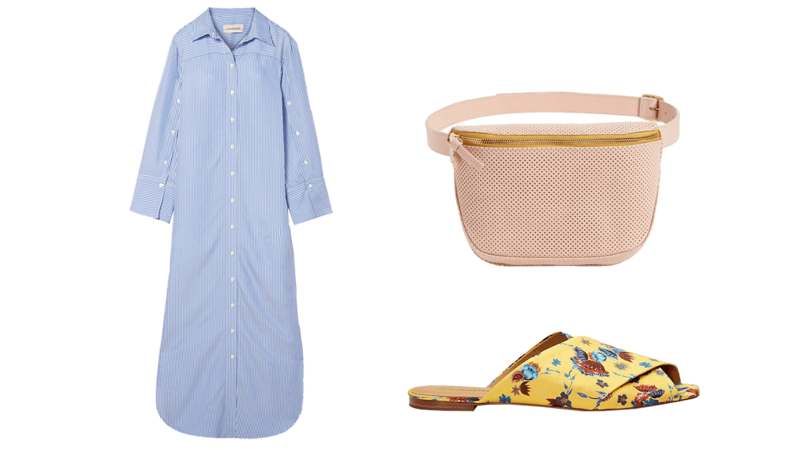 Belt over a shirt dress for a fool-proof and flattering outfit. Whether short or long, a simple, classic shirt dress should be your go-to. Choose a bag with clean lines and little to no hardware in an equally minimal moment. Style with a shoe that has a fun detail or print, or in a bright color. Pair with a suit for a look that's hands-free and pulled together. 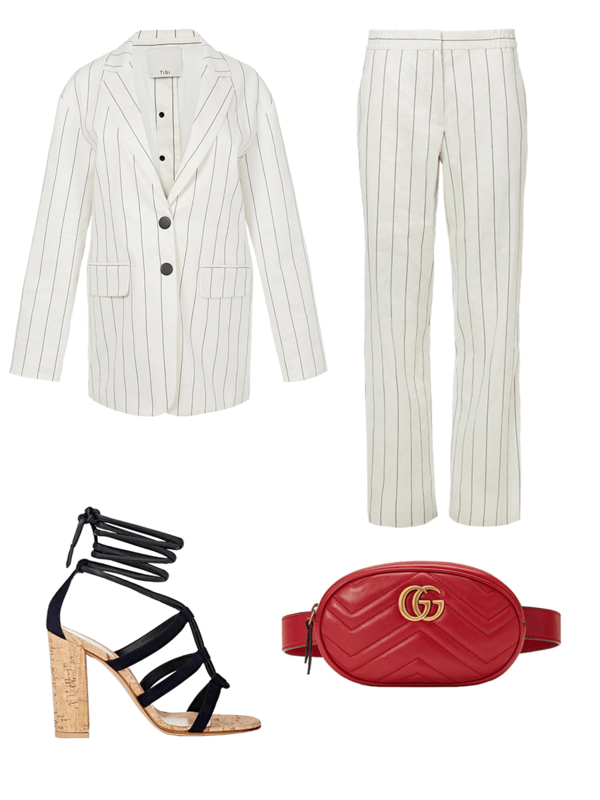 Runway to real way: a lightweight summer suit teams with a structured, quilted bag in bold red, adding just a touch of color to a fully neutral look. 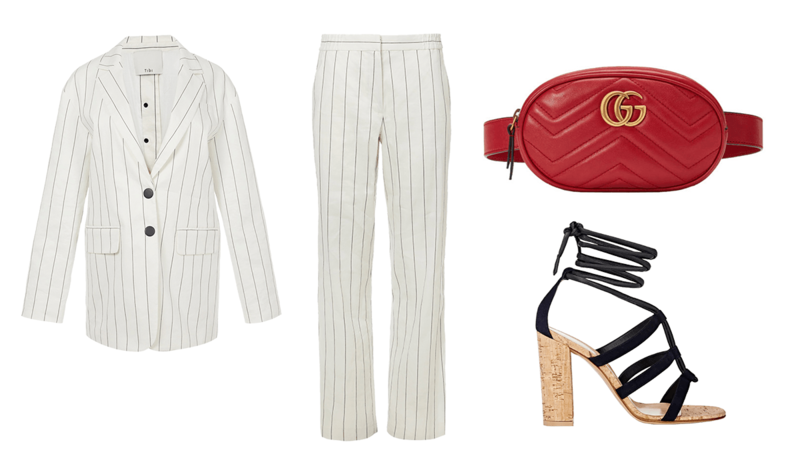 Strappy cork sandals add the height needed when breaking up a suit with a belt bag. Elevate sporty separates with a metallic bag that has clean lines. 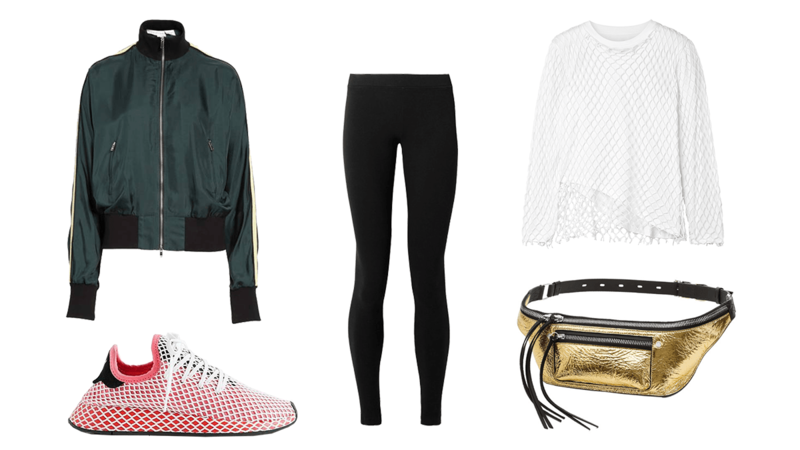 Black leggings and a track jacket pair with a mesh top and sneakers, getting an extra boost by a metallic waist pack with zipper detailing. This is a look that can go from workout to all-about-town. Master effortless and unfussy. 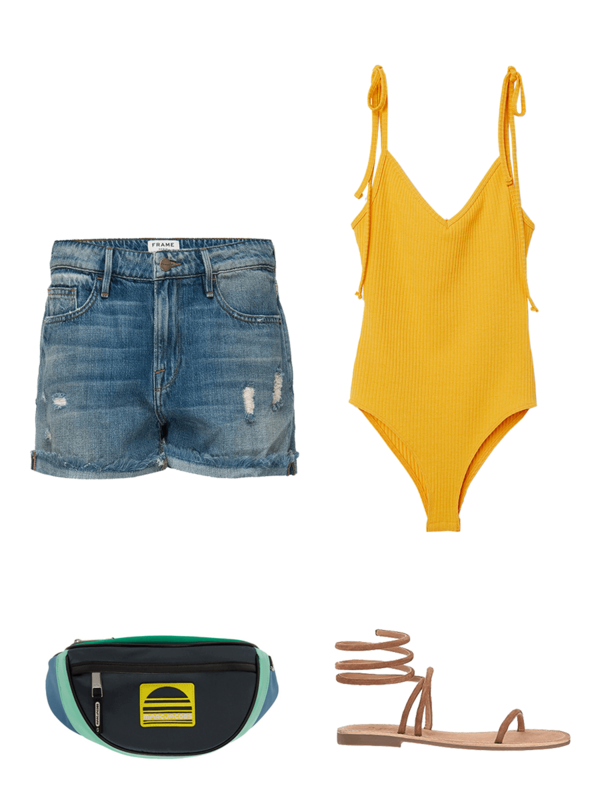 Cuffed denim shorts layered over a bodysuit create clean lines that work perfectly with a fanny pack. Choose a casual bag that helps finish off this laid back, utilitarian vibe, and pair with barely-there sandals. 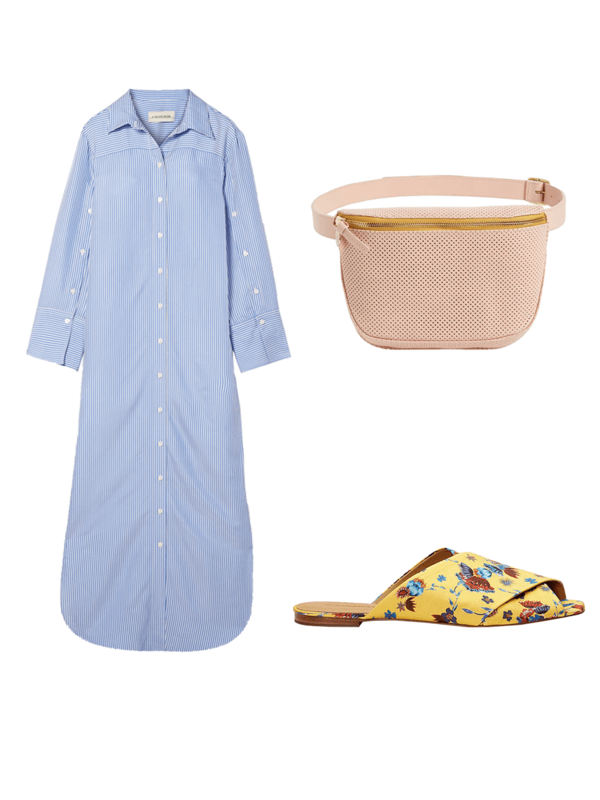 Shop more picks for packs below, and discover the full belt bag round up in THINGS: Fanfare. -T.R.